Original Xiaomi M365 Folding Electric Scooter Europe Version - WHITE w cenie $425.99 | Chińskie kupony rabatowe, zniżki i okazje! Original Xiaomi M365 Folding Electric Scooter Europe Version – WHITE! Teraz w promocyjnej cenie $425.99 Cena regularna to: $425.99, zaoszczędź i skorzystaj z kuponu na gearbest! Informacje o dostawie: Ship between: Feb 11 – Feb 14, Estimated Shipping Time: business days Order Processing Time may require a few days. Once dispatched from warehouse, Shipping (or Delivery) Time depends on the Shipping Method. Więcej informacji o produkcie: Dear friends, a new preference for you! 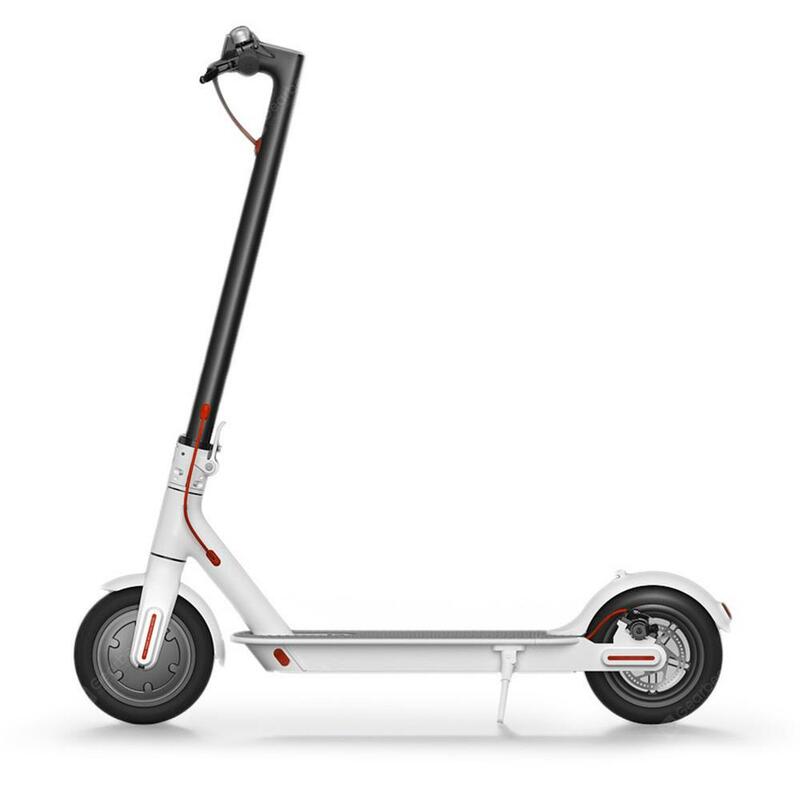 Xiaomi released its M365 electric scooter recently. Boasting a unique folding design, Xiaomi M365 electric scooter has been made from aircraft-grade aluminum alloy and weighs 12.5kg. Further, it adopts advanced E-ABS braking system, kinetic energy recovery system, cruise control system and intelligent BMS system. Smart and practical, as well as beautiful, you will love it! The motor needs run-up process before it starts to work. You should trample on the board and slide the scooter, then activate the accelerator after the sliding speed is in 3 – 5km/h.